The headline in the Montgomery Advertiser blared, "Nall, Y'all," a sample of Alabama's enthusiasm for the showcasing of 13 Alabama artists in southern France in August. "Nall" is Nall Hollis, an Alabama native and internationally recognized painter with homes and studios in Vence, France, and Huntsville, Ala. Nall invited 12 fellow Alabama artists to join him in Alabama Art 2000, which opened first in Montgomery and then in Vence at the N.A.L.L. Art Association during the summer. The works ranged from painting and photography to metal sculpture, landscape design and fiber art. Nall said he selected artists who have been influenced by the culture and the landscape of Alabama and who displayed passion and excellence worthy of an international stage. He selected the artists "because of technique and symbol, careers of intense work ethic, and a raw sincerity of human sentiments, a fresh expansion of courage, humanity and suffering." Study of the group's composition raises interesting questions. In this exhibition, the issues seem not to be based on training but on ideas and passion. Several of the artists have extensive training, even MFA degrees. Photographer William Christenberry and sculptor Frank Fleming have received Alabama's highest art recognition, the Distinguished Artist Award. Several are university professors. However, four of the 13 artists are self-taught: Charlie Lucas, Jimmy Lee Sudduth, Mose Tolliver and quilter Yvonne Wells. The Alabama State Council on the Arts participated in this unique opportunity to honor and promote Alabama art and artists in an international arena. Alabama Governor Don Siegelman and his wife, Lori, honorary president of the N.A.L.L. Art Association, headed a delegation from the state. A series of exhibitions and festivities was presented in Vence and a neighboring village, Tourrettes-sur-Loup. The spectacular gala opening featured costumed Indians, acrobats, jugglers, puppeteers, a man dressed as the Marquis de Lafayette, a fife and drum corps, two Alabama classical dancers and the Birmingham Sunlights, an a capella gospel choir. These festivities were held on the grounds of the N.A.L.L. Art Association. Two Alabama chefs were flown to France to prepare traditional Southern delicacies for the elegant dinner: quail, black-eyed peas and spoon bread. The Birmingham Sunlights performed, and the Flora-Bama band played Southern guitar rhythms for dancing. The mascots of Alabama's rival schools -- "Big Al," the University of Alabama elephant, and Auburn University's "Tiger" -- accompanied the group. Six of the featured artists made the trip to France, including Charlie Lucas, who had traveled to Vence earlier to live for two months at the N.A.L.L. Art Association as a featured artist. 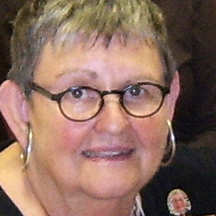 The late GEORGINE CLARKE was visual arts program manager for the Alabama State Council on the Arts. She went to France as part of the official Alabama delegation.